The Medal of Merit is more civil Decoration and was given for merit and contributions to the throne. 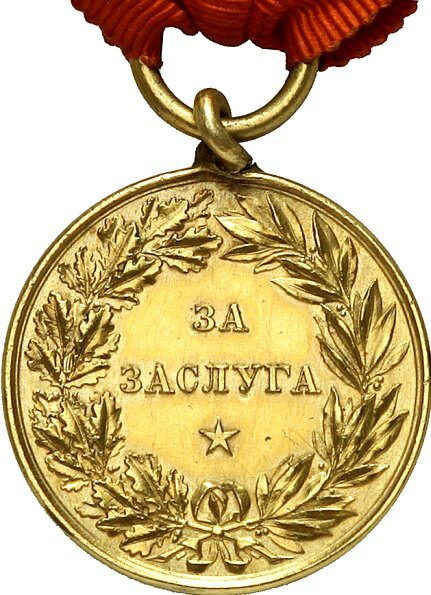 The Gold medals are very rare according to the existing information only 23 men during the 69 years period In my personal opinion their number is higher. Really,I can see it for the first time.Thanks for showing.Are there any marks for gold? 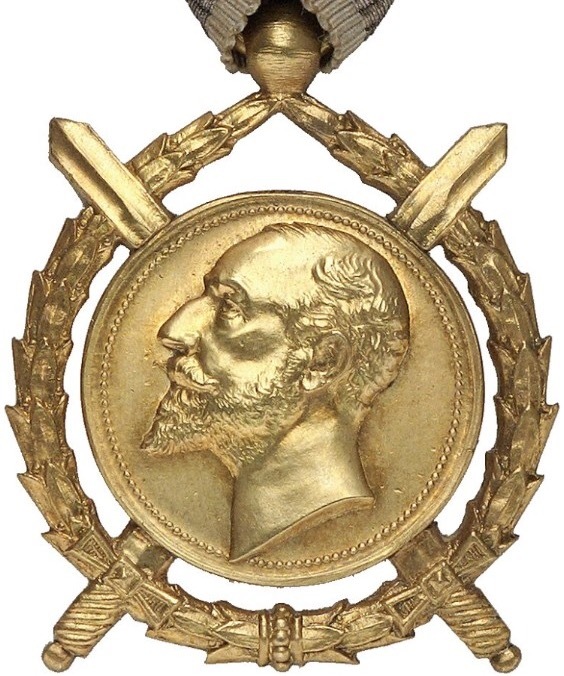 The Order of Merit had only two classes - Gold and Silver badges (also called 1st and 2nd class) but due to the fact that the 1st class has only been presented to a dozen of men (or so), the general assumption is that the Order of Merit represents a silver badge, used for decoration of army officers (predominantly). 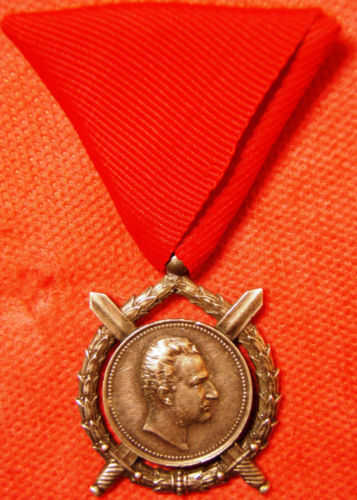 As for the Medal of Merit, indeed it came into three classes. 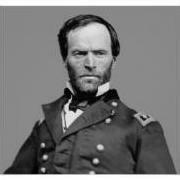 It was used for decoration of a broad range of professionals, including military men. The gold medal is indeed the rarest of things. 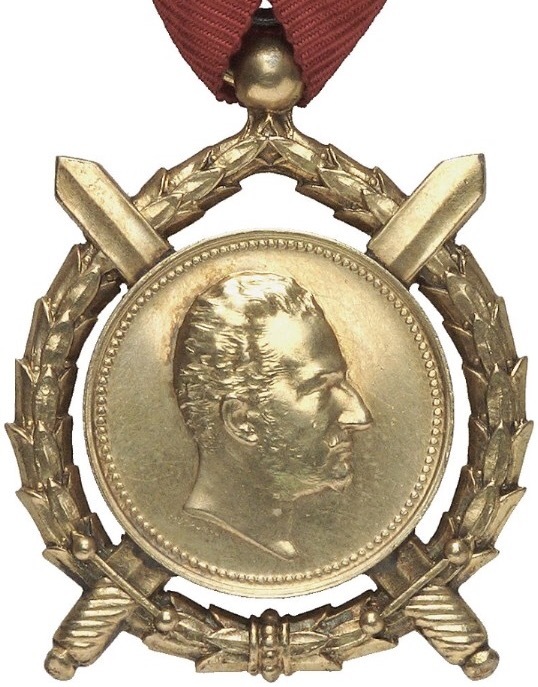 It is a symbol of a great merit and its holders were the highest ranking officials in the country or similar in rank foreigners. Todor Petrov, citing Vl. 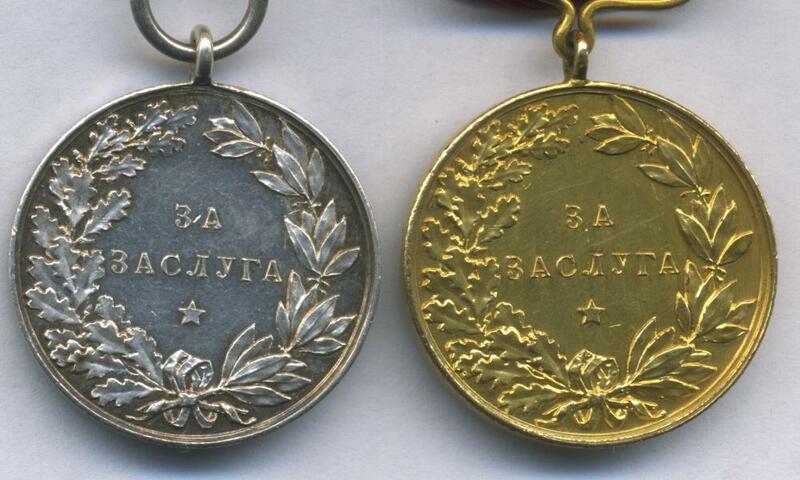 Vladimirov, writes about 69 golden medals being awarded by 1940 (presumably, the majority of these abroad). I am prone to think this figure is plausible, or at least near the actual number of awarded men. 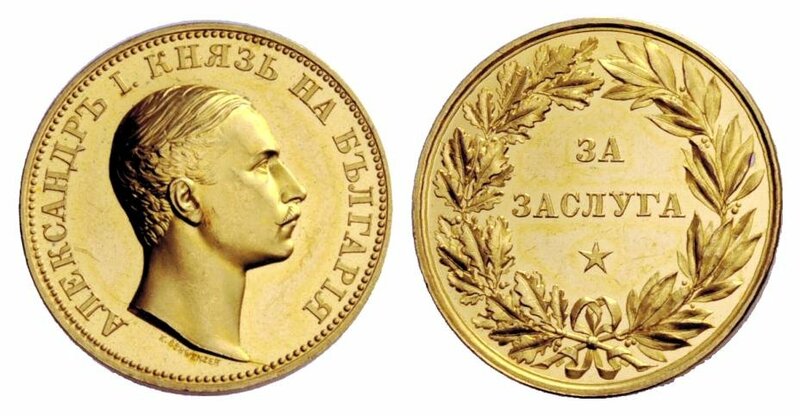 Unfortunately, due to the fact that the original golden medals were simply gilded (with silver of bronze base), there is a certain number of faked golden medals out there. The same applies (perhaps in greater extent) to the golden Orders of Merit. It's a pity. I really like your two golden medals Graf. Congrats! Have these been given to German nationals? Are you able to share any background information? 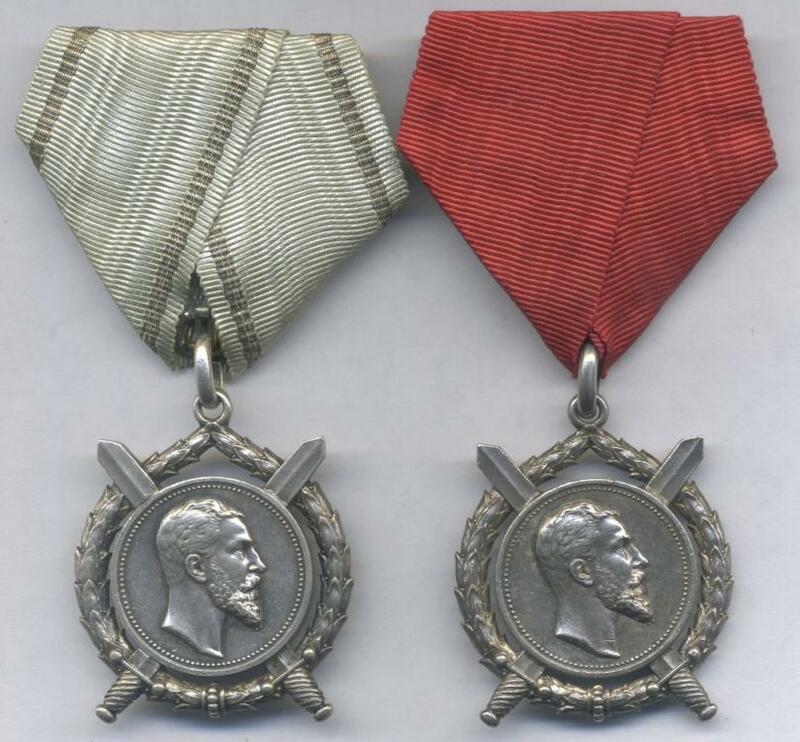 Here's an original illustration on behalf of the Chancellery of Bulgarian orders (circa 1904), showing the classes of both order and medal. I just found your latest post! Thanks for all the information. It was very helpful and I really appreciate it. I'm also looking into the books that you mentioned. The Pavlov book is very expensive. The Denkov book is selling for less than half the Pavlov book, but I think it is written in Bulgarian Cyrillic whereas the Pavlov book was written in Bulgarian and English. 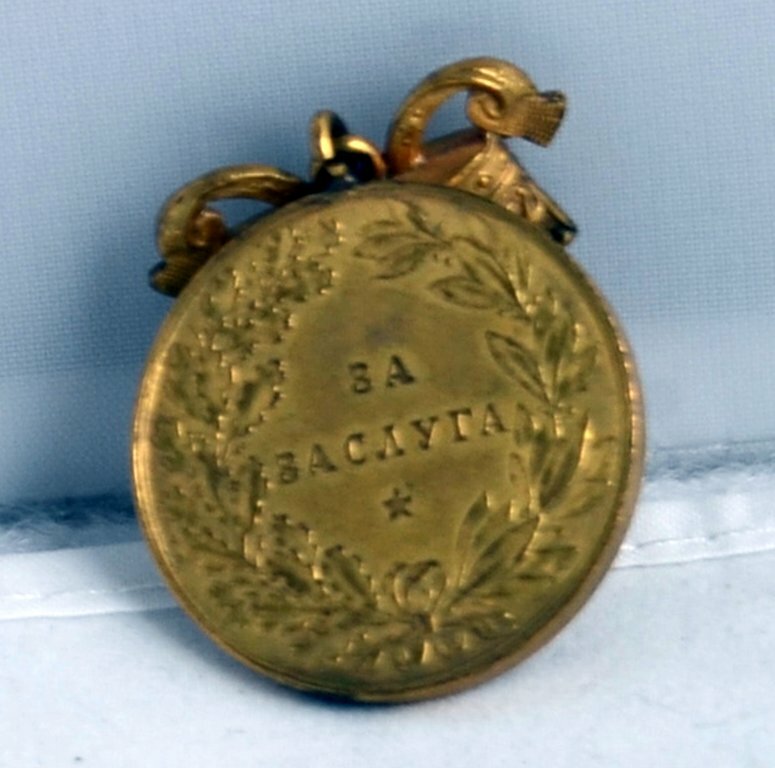 Thus, the Pavlov is the best book for me unless I find out later that BF Skinner wrote a book on Bulgarian medals . I also appreciated the tips that you gave me. I've only been collecting medals for a little over a year and I still have so much to learn. So it especially helpful when experienced collectors like you, New World, and others provide a little guidance. When I first started out, I was more concerned with the more common medals, which are less expensive. I also wanted to gain some experience and knowledge before I started buying expensive pieces. Now I'm at the point where I know how to spot most of the fakes and I'm going to start focusing on more expensive and rare pieces. I guess the moral to the story is: The beginner looks at his collection and sees an expensive hobby while an experienced collector views his collection as a sound financial investment. 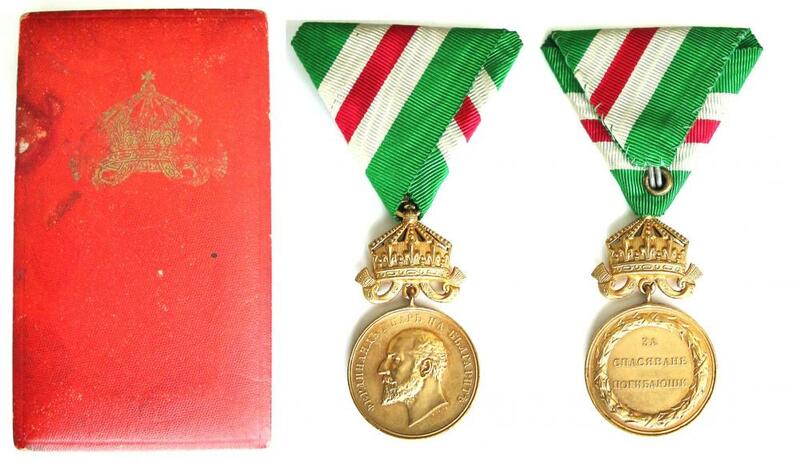 I've purchased items from both emedals and Liverpool medals. Your advice is right on the money! 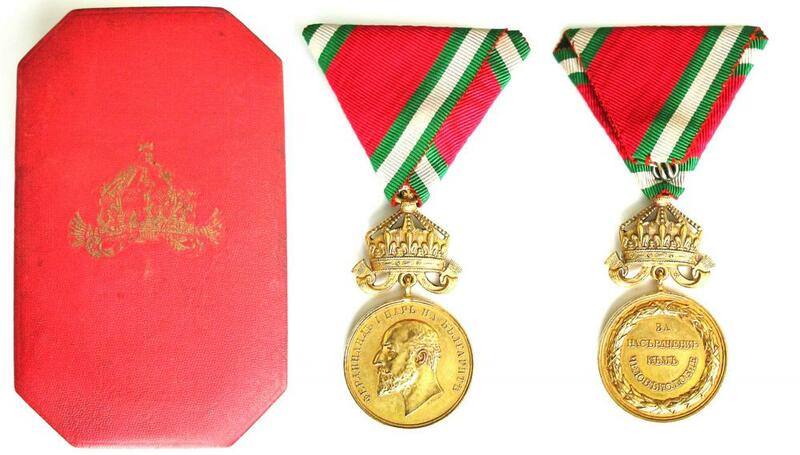 Although the Royal Medal of Merit may have primarily been a civil award, I have seen them on German Medal bars. 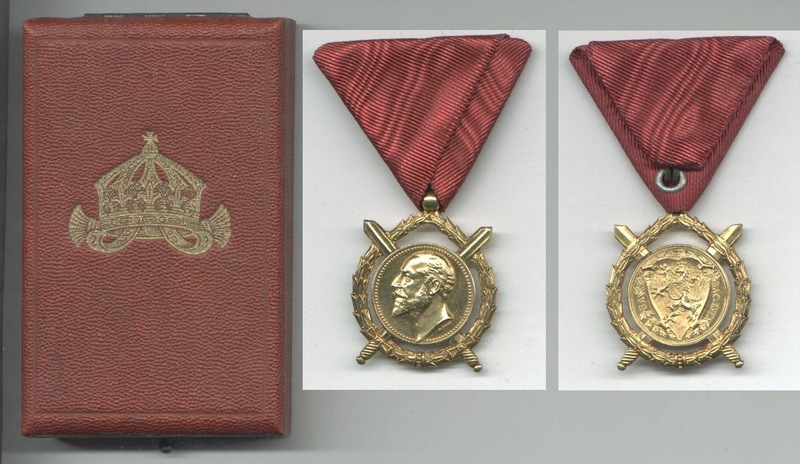 In fact, there is a photo of a silver medal of merit with crown on the medal bar of a German Leutnant on page 121 in Volume 7 of O'Connors Aviation Awards of Imperial Germany. These gold medals would be easy to fake. 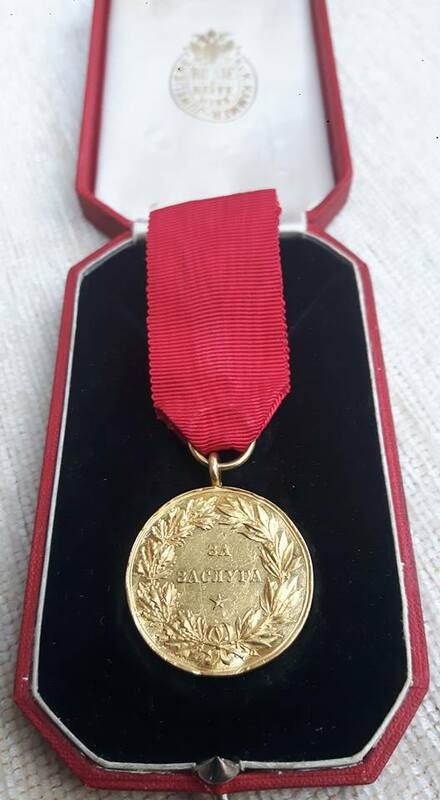 Fakers make complex awards with enamel from scratch - one needs to be especially careful when considering these gold grade medals. When i initially wrote the text it was very late at night and I did not realized that i made a mistake regarding the Order for Merit Since then i edited the text accordingly. I have not checked the metal yet. however i plan to do it in the near future. 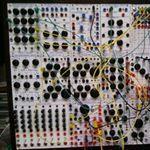 you have very good points yes collecting is a very interesting and also could be very expensive. expensive. Your approach towards collecting is the right one. First taste it with more common pieces, then get a good information before dive head first in to the deep waters of the collecting world. Yes it is a good investment Many of the Military dealers have been collectors for a long time and tuned it to a business. They still collect. 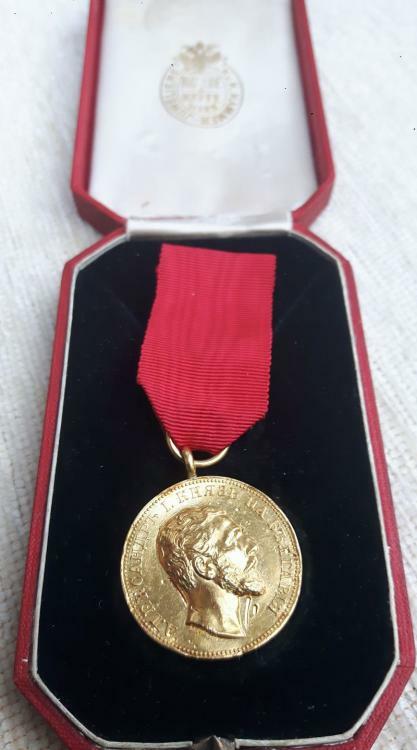 Regarding the Medal for Merit i tried to give you as simple information as possible not to confue you too much, i also have seen the medal as part of medal bar to Military persons. I agree with you. Therefore i did not invest big $$ into them They are very rare and only by looking at the pictures of previously sold or from the books one can not have the idea whether they hold the real ones. 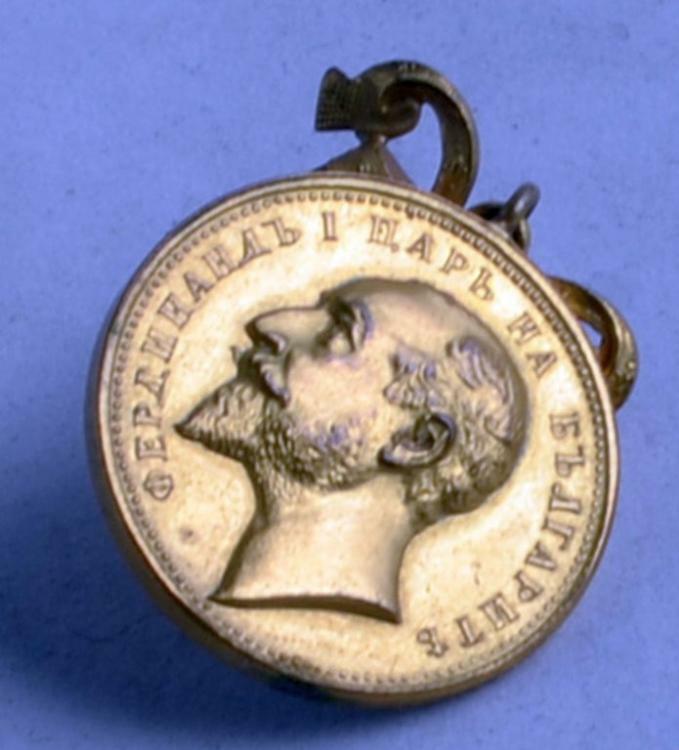 Gold medals were made by fire gilding of bronze or Silver medals. Information which could be helpful when assessing the medals. As i mentioned somewhere else i have not checked them yet about the metal they are made from. I recently found the following Order of Merit (2nd class) for sale. In the description the seller referred to it as being silver. However, I have never seen silver tarnish like this before.. 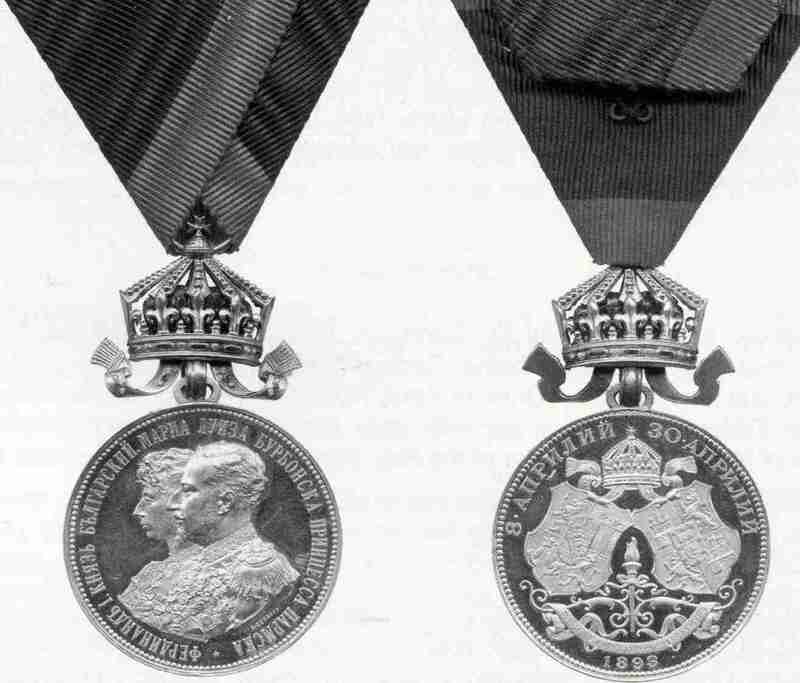 This raises a question, was the Order of Merit (2nd class) suppose to be pure silver or was it silver-plated bronze (or brass)? 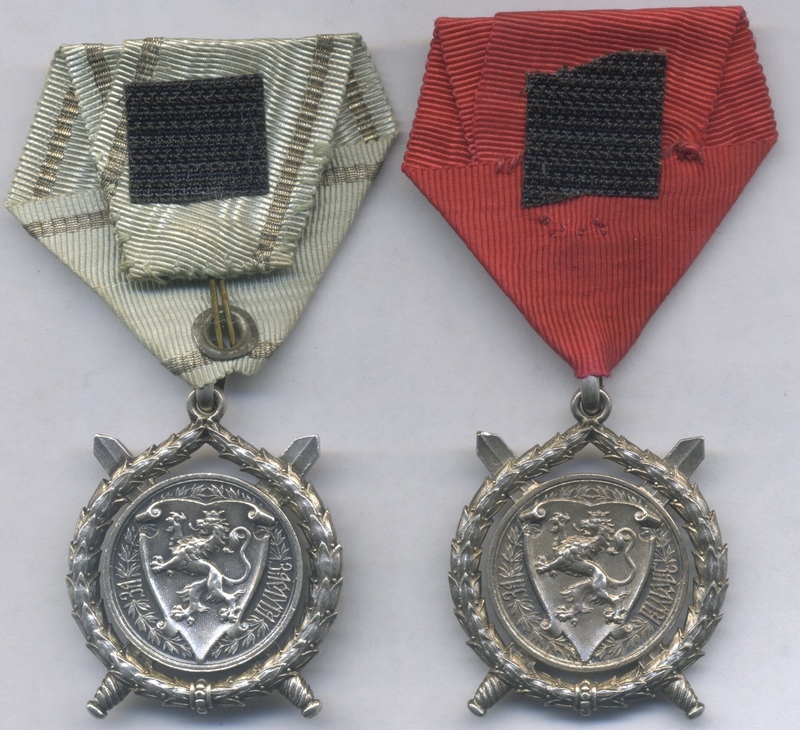 If the Order of Merit (2nd class) was made of pure silver then logic dictates that the medal pictured below is either 1) a fake or 2) the silver has somehow developed a very unusual bronze-like patina. 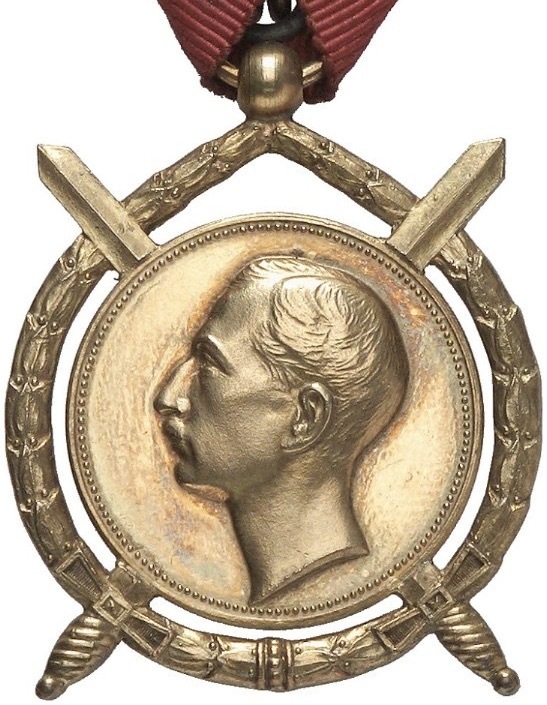 On the other hand, it the Order of Merit (2nd class) was made of silver-plated brass or bronze as opposed to being true silver, then there a 3rd possibility comes into play: 3) this was a silver-plated bronze medal that has lost all of its silver. 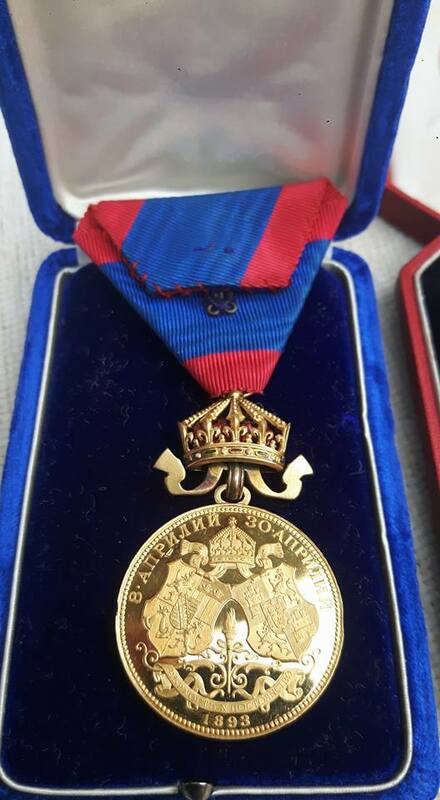 Well, enough of my logic, I would like to hear from the experts as to why the medal below doesn't look like Igor's Order of Merit (above). 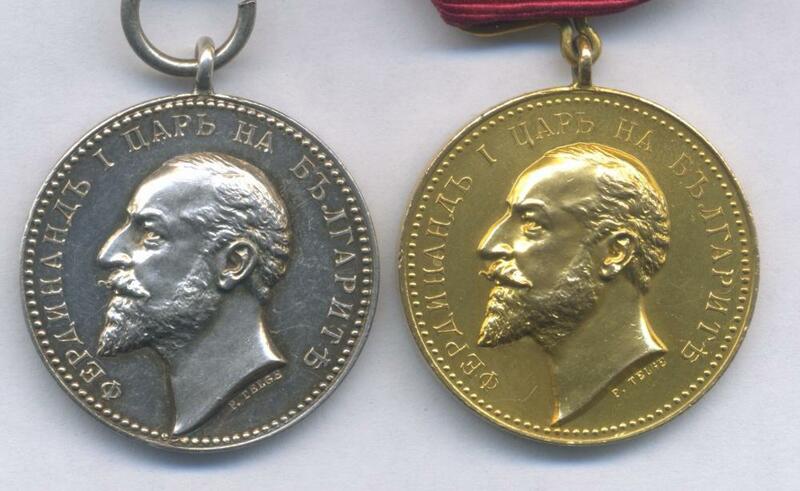 They both suppose to be silver, but only Igor's looks like a silver medal. Igor, Those are very nice awards. I especially like your Order of Merit. Thanks for posting! It looks Silver with a very nice patina Sometimes the light can make the medal to look differently. Thanks for your opinions and thanks for the excellent tips. Hi , Do you know if Rothe & Neffe always marked the ring of the Orders of Merit? 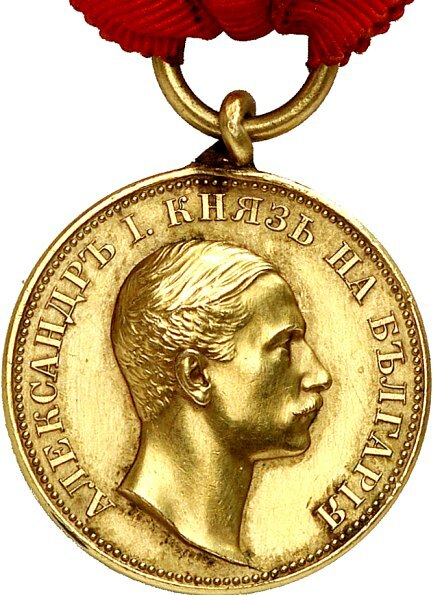 Golden medal of merit from Battenberg period (SOLID GOLD, which is assumed to be the sole example known) and golden medal for the Royal wedding of 1893. Notice the enamelled crown on the latter, too. A masterpiece indeed. I haven't seen any other example of this sort. 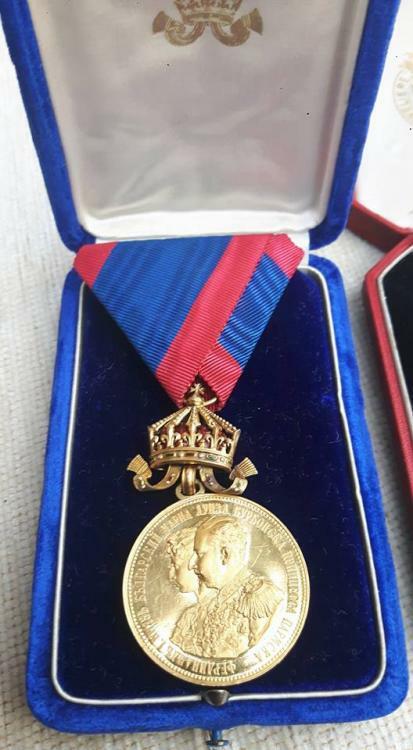 Another solid gold example with enamel in crown. Perhaps reasonable to assume that all the gold examples had that special feature in crown. This foto came from catalog well over a decade without the award case. They are rare indeed. Now we know of two!!!!!! Do you have variation with a chain, the rarest one? @Yankee Thank you for the scan. It's also plausible that the images I posted and the scans you provided are of the same medal. 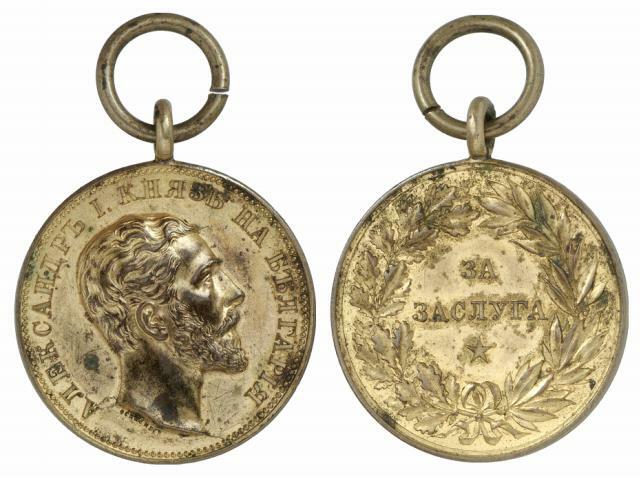 The stiches on the ribbon are remarkably similar and also the minor scratch on the right side of the obverse (near Ferdinand's neck). The presentation box could always be a new edition. 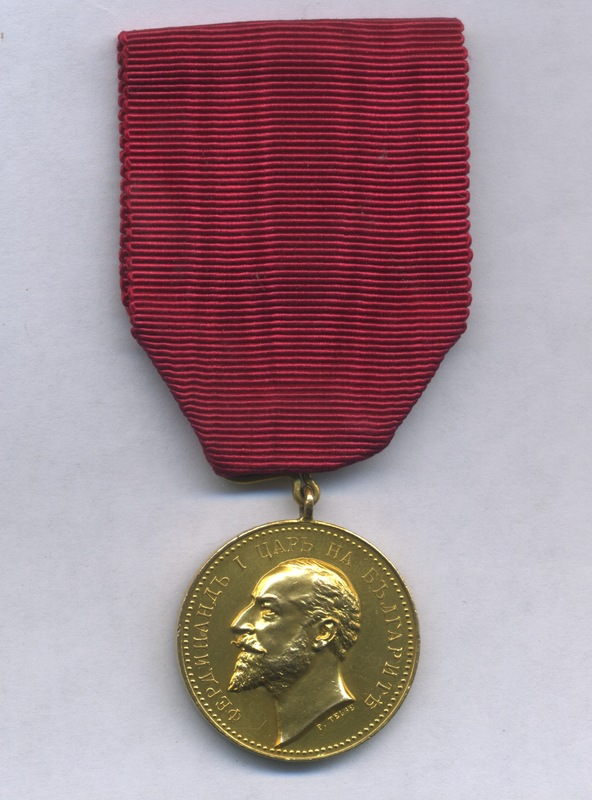 If the award case is not contemporary than really good chance it is the same medal. Unfortunately the auction house produced a black & white however the fold on the ribbon (reverse) has a slight angle and as you clearly noted same thread stitch on the reverse ribbon hook. As I recall the silver crowns have no enamel insert. I'm curious if the gold ones too were struck without enamel. Or if customary for the solid gold examples to have enamel placed in the crown. 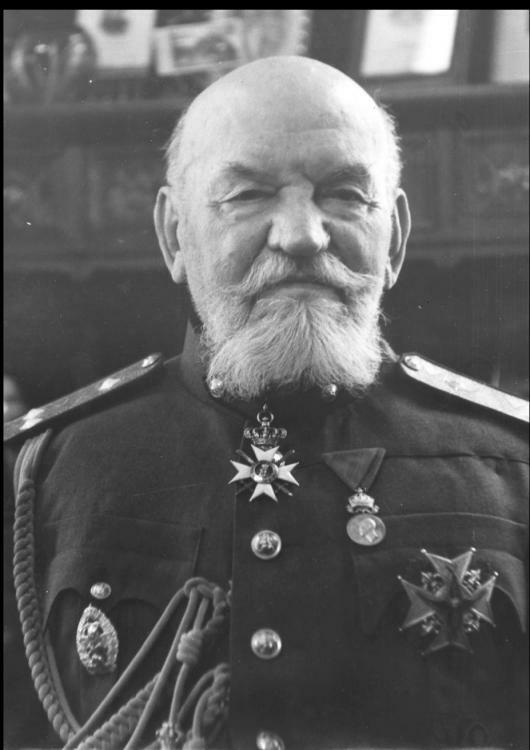 Here's a photograph of General Nikolaev wearing a golden medal of merit (Boris III).